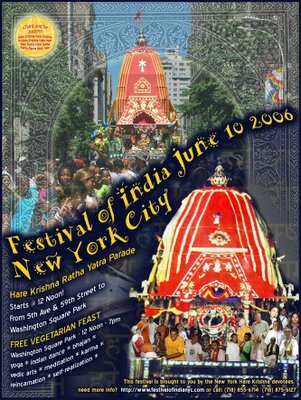 Sri Jagannath Ratha-Yatra Parade - June 10, 1006, starts at 12pm at the SE corner of Central Park 59th Street and Fifth Ave. 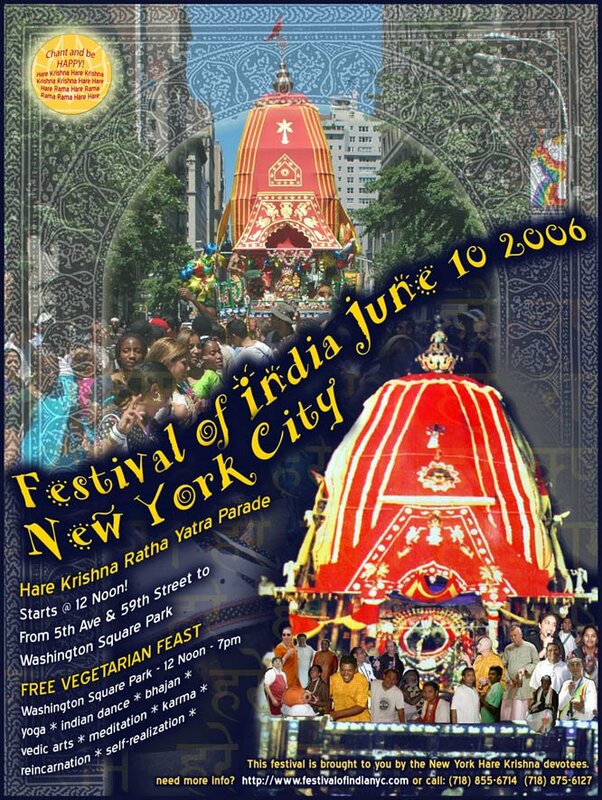 The Parade will continue down Fifth Ave. for 50 blocks culminating at the Festival of India in Washington Square Park. World dance tour hits T.O. Was Duryodhana really stupid or what?